When I got my first rabbit, I didn’t know anything about rabbits. I was completely clueless and he was wild. 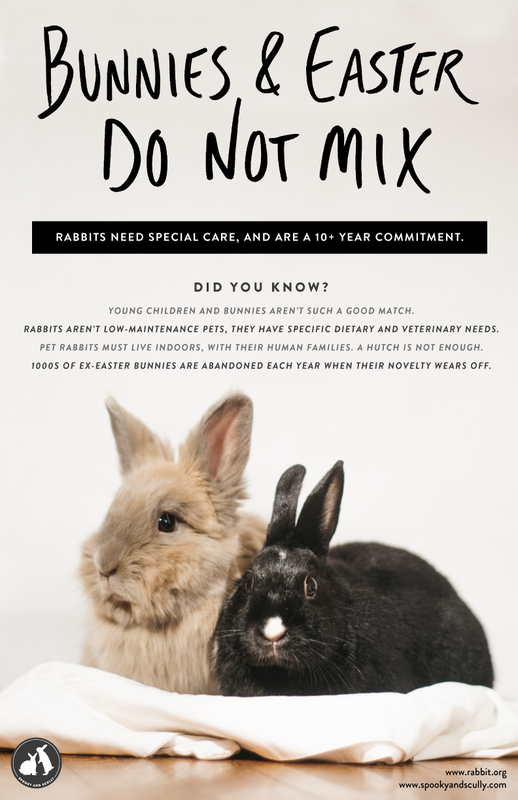 I used the internet to try to learn what I could about how to care for him, but as I got deeper into research, I learned that a lot of the common knowledge for pet rabbits was wrong. I started to get really into rabbit advocacy as time went on. One of my major pet peeves was seeing all the horrible images and PSA’s on the internet to try to promote good care for rabbits. I decided to step in and create a campaign where the PSA’s were nicely designed and the information was proper. 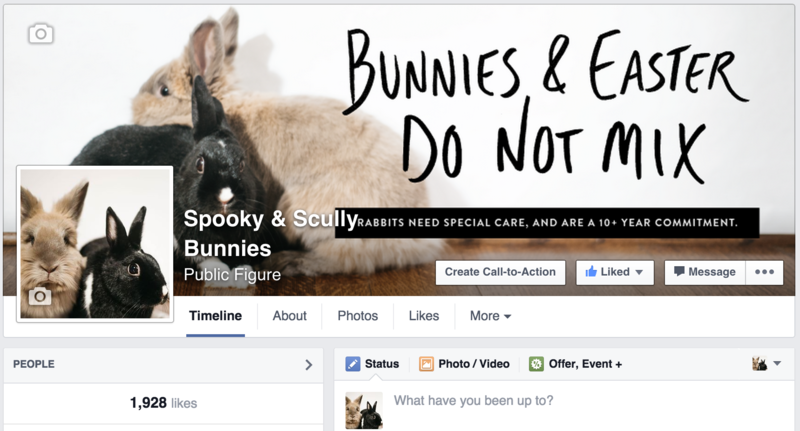 The idea is that the messages are spread from my two rabbits, Spooky and Scully. Logo for Campaign, the names of my rabbits. 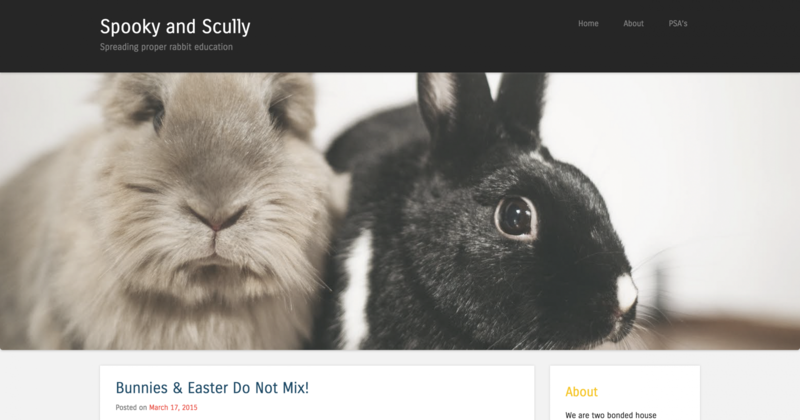 Easter Bunny campaign. This was posted on our facebook page, and was shared over 600 times, reaching 57,824 people. Facebook page for campaign. Almost 2,000 likes.